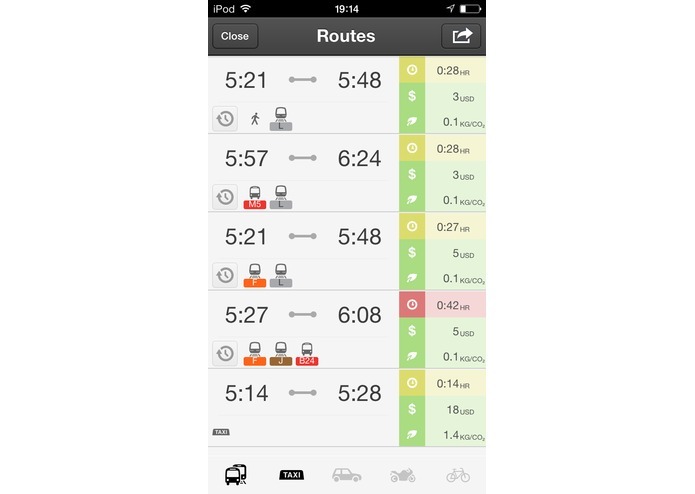 All Public and Private Transport options in one app! TripGo is a multi & inter-modal journey planner that provides door-to-door trip routes, times & costs for all transport modes and combinations. Public transports covered are MTA & NJ Transit, Path, Citi Bike and Cabs (as well as private bicycle, car & motorbike and walking). 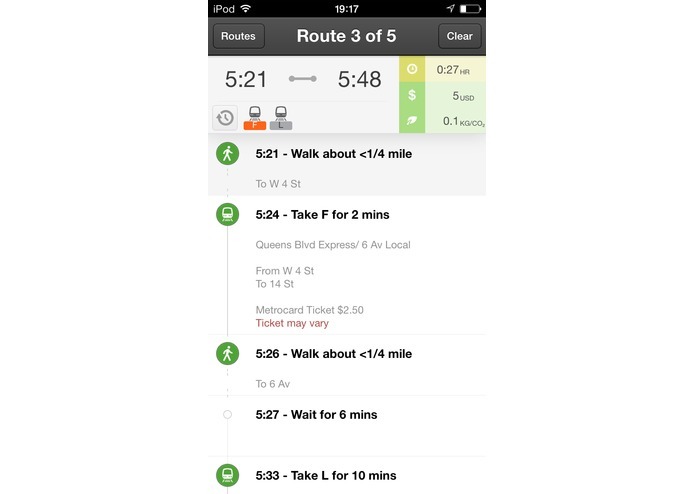 TripGo serves trips according to users' personal transport priorities: save money, save time, environment, convenience. For each journey users can compare & sort all travel options by map route, arrival time, journey duration, costs & carbon output. 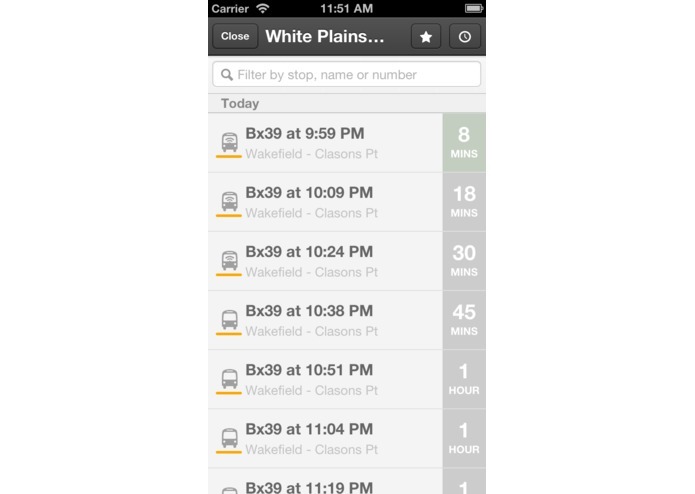 Where real time data is available, users can see the relevant service arriving on a dynamic map, see estimated arrival times and receive 'leave now' alerts. The multimodal routing algorithms behind TripGo also feed into a personal scheduling application (SkedGo) that automatically enters trips into a schedule for any event entered. SkedGo has several additional features for users to further personalise their transport needs, share vehicles and optimize times & places for events. SkedGo Beta at: http://calendar.skedgo.com/ > Sign up > facebook or enter bh:you@yourdomain.com > follow prompts. Account requires a ‘home’ address to calculate routes to events. Opens as empty calendar. Enter future events at location other than home to see automatic trips. Personalise transport in Settings under user name. SkedGo native iOS & Android Apps are in Alpha, est. release Nov 2013.